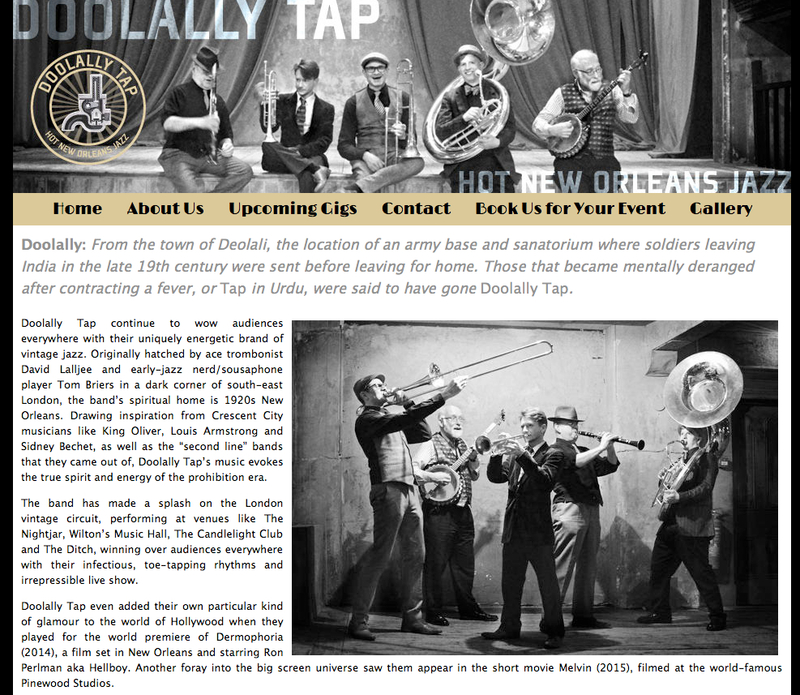 Check out Doolally Tap’s new website! Not only are Doolally Tap a remarkable bunch of musicians, but they are all unique ‘characters’, guaranteed to add interest and life to any performance or event! Check out their new website here for more details or better yet go and see them play / book them for a gig – you won’t be disappointed!